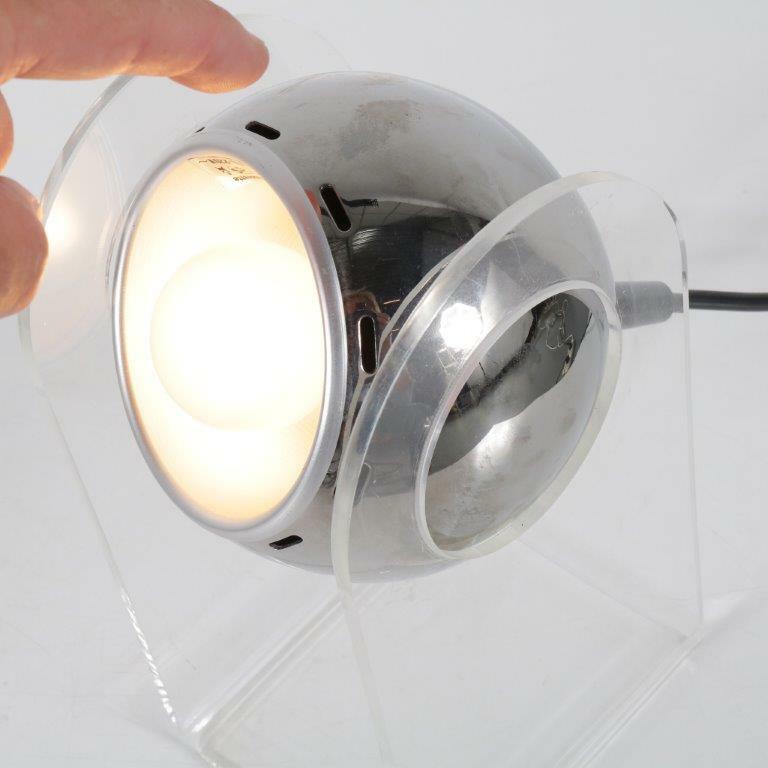 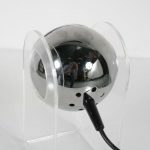 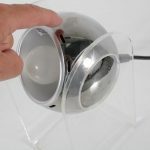 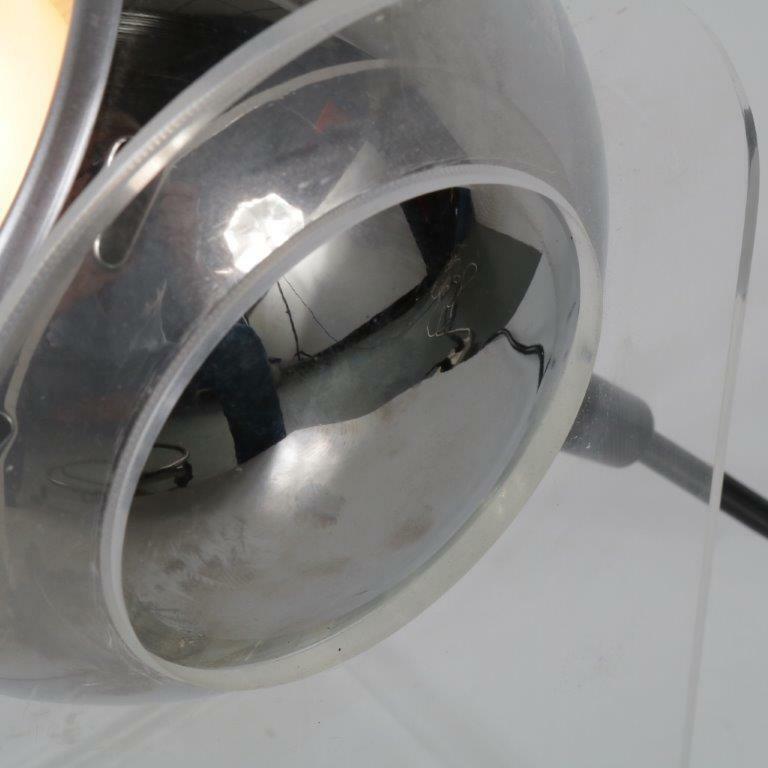 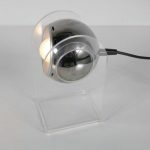 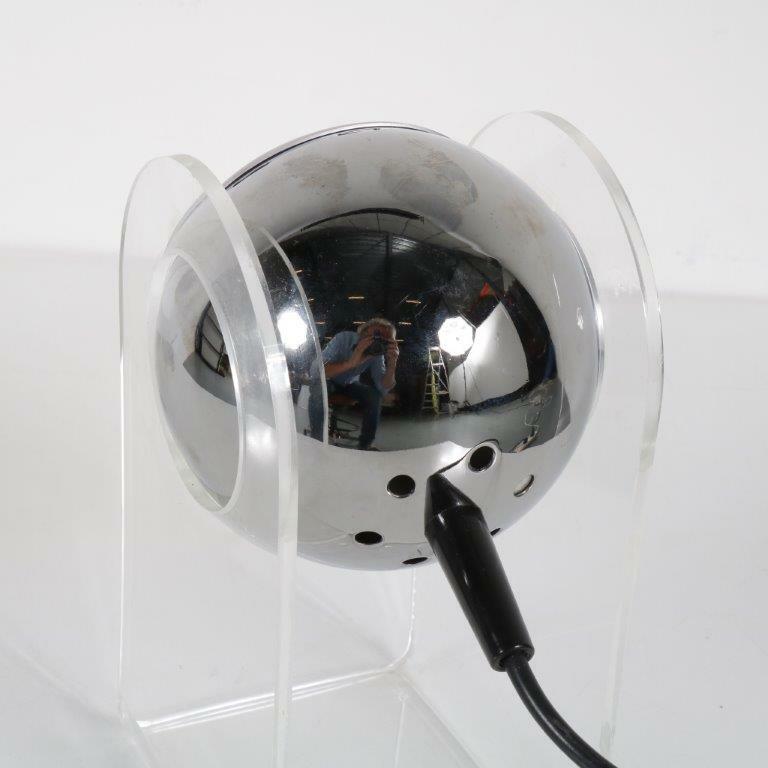 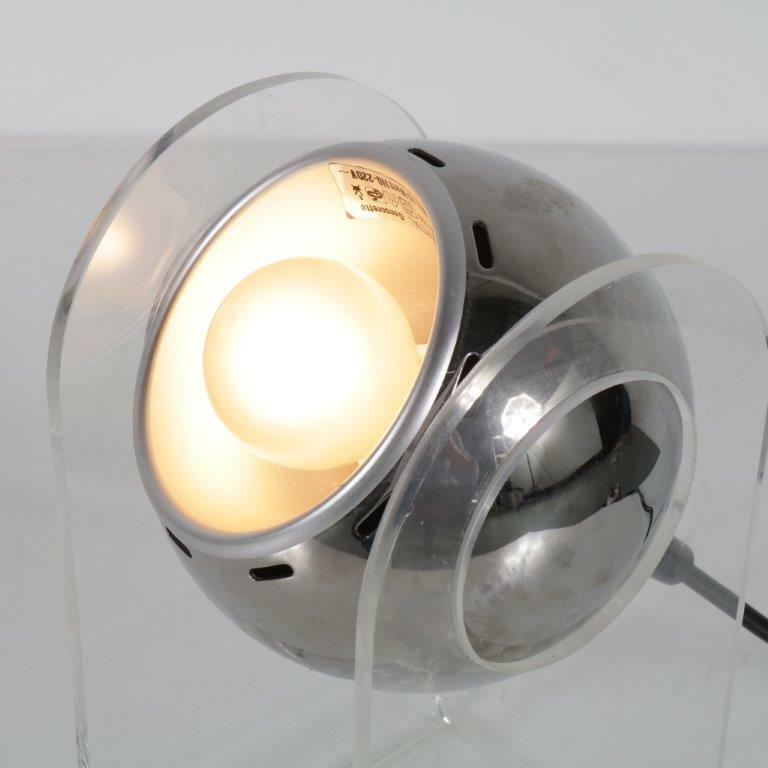 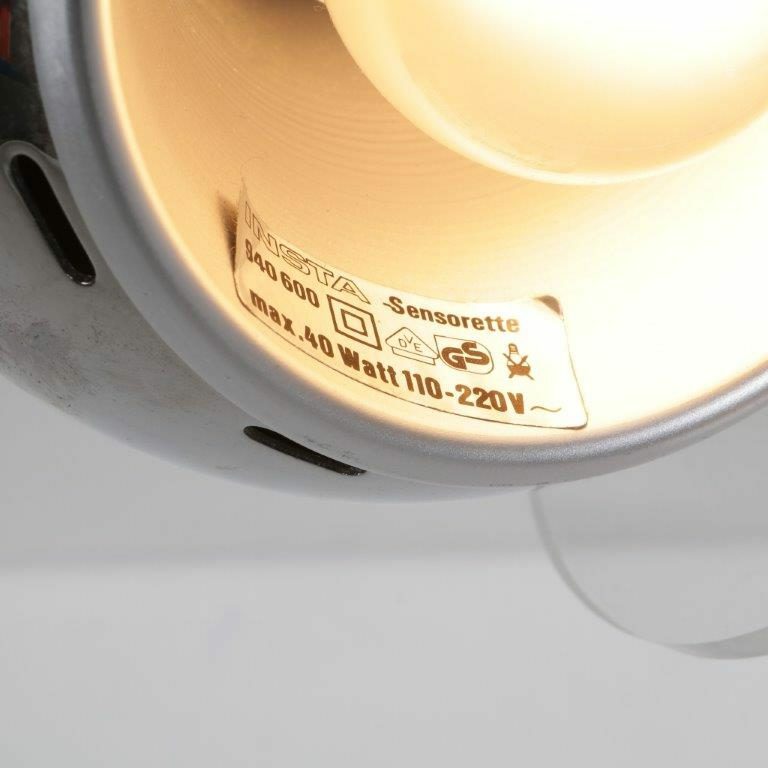 This lovely small table light, model “Insta Sensorette”, is made of beautiful clear plexiglass, holding a round chrome plated metal ball with a light bulb. The structure allows the light to be aimed in different directions and gives a hovering effect to the metal part! 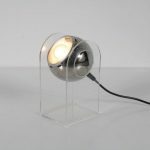 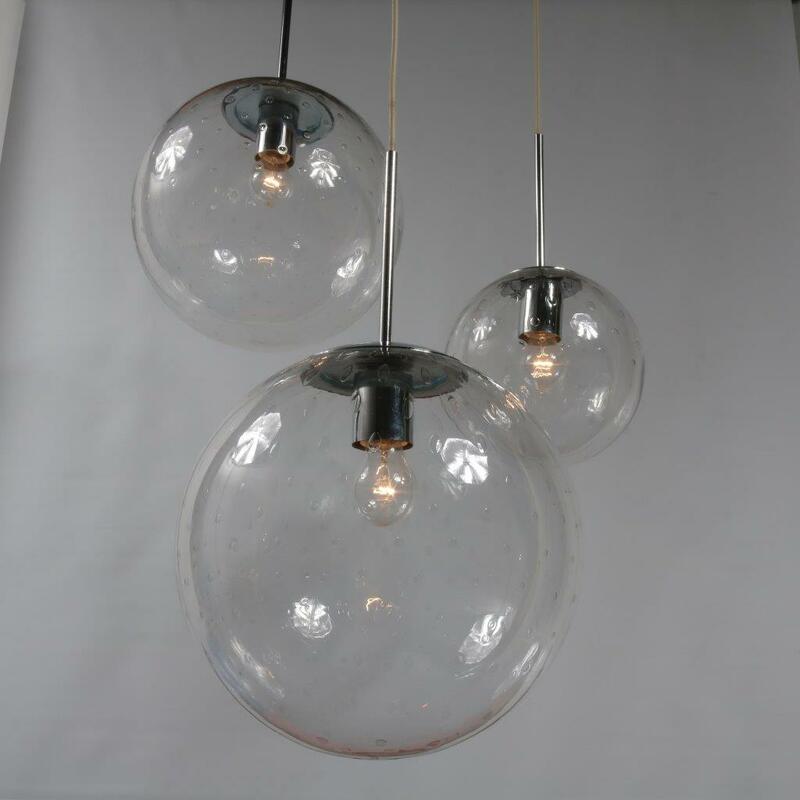 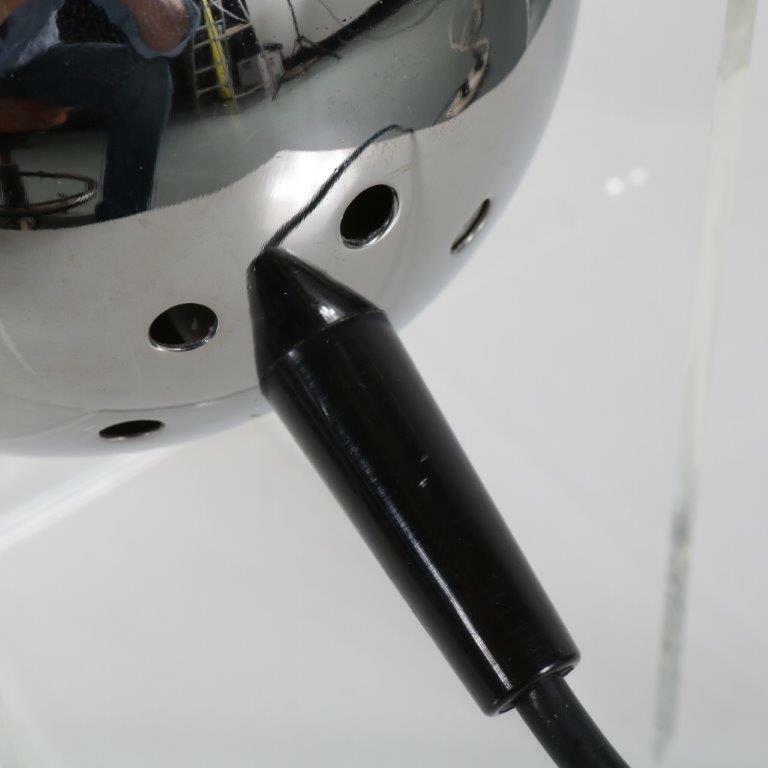 A unique detail of this lamp is that it can be switched on and off by a simple touch of the top of the ball. This was a very innovative “touch” at the time! 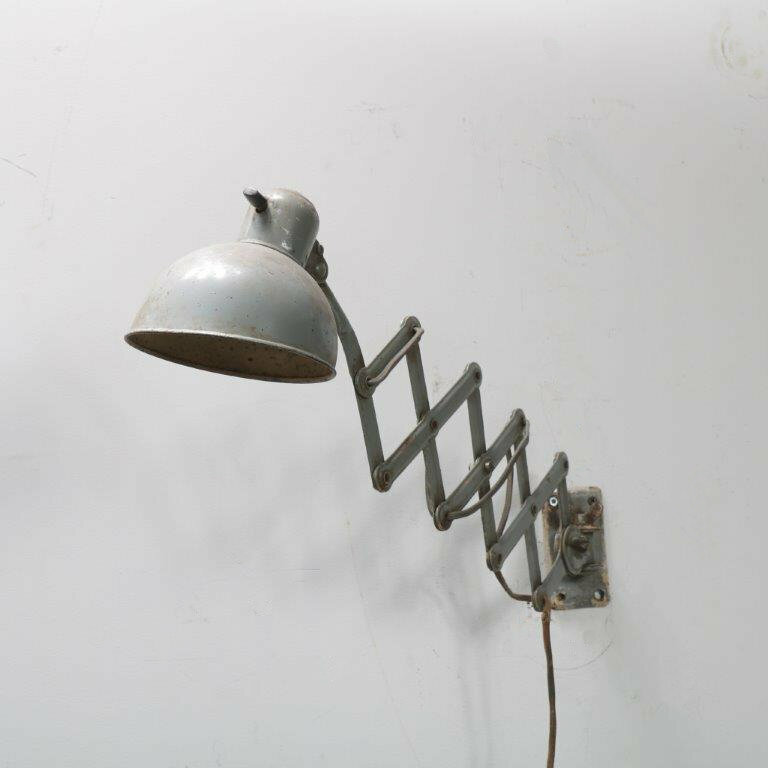 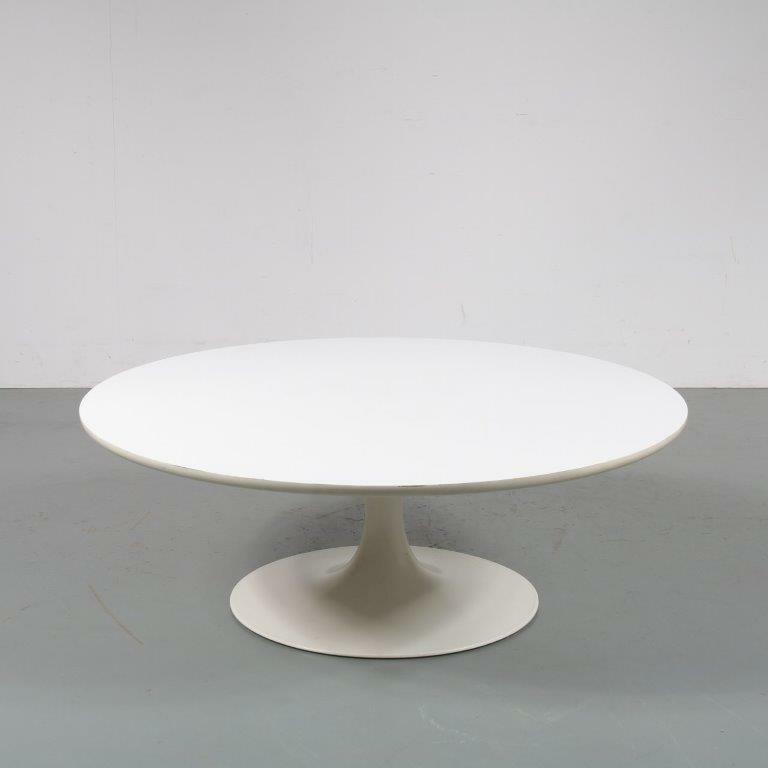 This wonderful little piece remains in very good vintage condition with minor wear, preserving a beautiful patina.